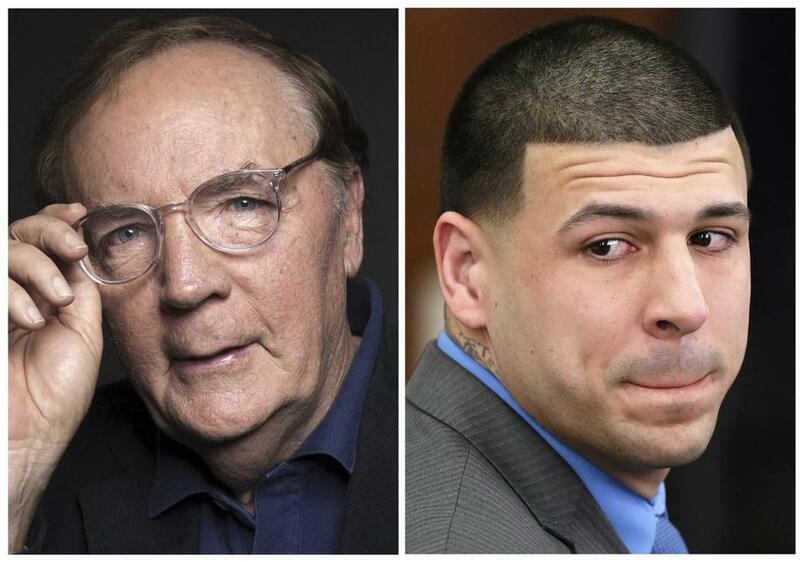 In this photo combo, author James Patterson is pictured next to former Patriots tight end Aaron Hernandez, the subject of “All-American Murder,” which Patterson wrote with two coauthors. The prolific James Patterson, best known as a wildly popular and wealthy mystery novelist, is publishing a work of nonfiction Monday. 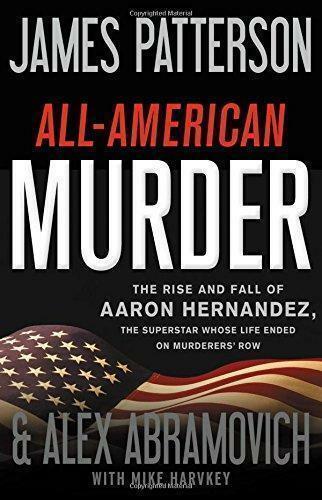 “All-American Murder’’ is an investigation into the life and crimes of Aaron Hernandez, the star New England Patriots tight who hanged himself in his cell last year after being convicted in 2013 of killing a friend. Film rights have already been sold, and Patterson will talk about the book on a one-hour special episode of “48 Hours” on Jan. 20. Here are five takeaways from the book, which also credits two coauthors. 2. The publisher says the book is the product of interviews with more than 60 people as well as “on-the-scene reporting.” Some of the original reporting seems obvious, such as the long scenes re-created between Hernandez and Bristol County Sheriff Thomas Hodgson, who ran the jail where Hernandez was kept while waiting for trial. The book also makes extensive use of court testimony and legal documents, and cites plenty of reporting from other sources. 3. Patriots coach Bill Belichick declined to be interviewed for the book. 5. While they broke little new ground overall, Patterson and his coauthors dug up this nugget: Aaron Hernandez was “especially fond” of Patterson’s Alex Cross novels.